to participate in the project "Christmas card". At first I was so happy - it's my favorite topic - Christmas! And I have a special relationship with cards. that unfortunately, there is no time for the cards anymore. 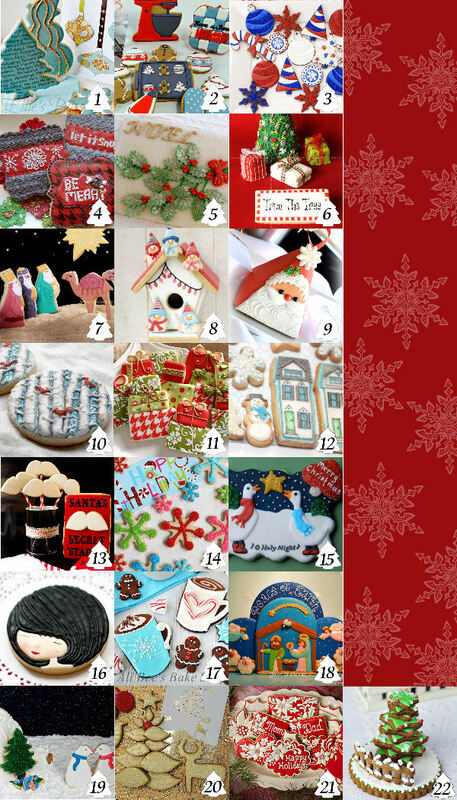 And here is this opportunity - to create a Christmas cookie card! Every day there came new ideas in my head and I could not choose one of them. And then as often happens, came Pinterest to help me! Look at this wonderful collage! All cookies here are simply amazing! So many ideas! I am so grateful and happy that I was a part of this project! Thanks Hani! Thank you all! Nadia, this is such a gorgeous work, AWESOME and ADORABLE! That nose is great! We wish you a merry Xmas! Nadia!! This is gorgeous!! I love this guy! you are amazing and I am so happy I got to work on this project with you! Merry Christmas! Awww, thank you Lisa! I am happy too and want to hug you:) Merry Christmas! He is completely brilliant! What a great idea. You have just blown my mind. He has the sweetest face he's so perfectly done. I can't imagine a sweeter greeting Nadia! I'm absolutely in love with this idea. So clever and so beautiful. I'm amazed how versatile your artistry has become Nadia. Merry Christmas my dear. I always admire your cookies - and now this beautiful box is the TREAT! Wonderful job! Merry Christmas Nadia! WOW! What a brilliant idea! Your cookie is amazing and flawless! Nadia, this cookie made my heart go pitter patter. I absolutely love it so very much! You are talented beyond words! Your Santa box is wonderful! What a lovely idea for the holidays. I didn't know you used to make greeting cards as well. I'm certain that they are as beautiful and elegant as your amazing cookies. You are a very special talent Nadia. Nadia: What an unbelievably playful and gorgeous creation. You are amazing, my friend, simply amazing! Stunning Nadia! You are so talented! I've seen (and even replicated) that treat box! To see it in cookie form is amazing! You are unbelievable. Truly, truly talented. I am constantly amazed at the perfection and precision you manage to achieve with SUGAR!! What a fun and unique choice for this project!